As parents, we have the amazing privilege of praying for our children. Praying for your child’s school is so important. This is something my husband Jonathan and I take very seriously. At the beginning of each school year, we go on a prayer walk as a family around our children’s schools. In today’s post, I will share the why, how and what of our prayer walk. God hears every single prayer and cares deeply about our requests. We take a prayer walk because it makes a difference. How do we do the prayer walk? We begin on one side of the building and then walk the whole perimeter. The reason we do this is to cover all the ground our children will be on. As we go along, each member of the family takes turns praying. This year our children are at four different schools. Each of our children began the prayer time at their school. What do we pray for while we are on our prayer walk? First, we pray for God’s protection to be over the whole school. We ask Him to keep it safe from all harm. Second, we pray for all the teachers and staff. We pray that they will have wisdom and strength. We also pray for their salvation if they don’t have a personal relationship with Jesus. Third, we pray that our children would be a shining light for Jesus in their school. That God would use them to draw people to Himself. And lastly, we pray that our kids would thrive at the school and have a great year. We generally follow this pattern, but other prayer needs come up as we go along. Each of our children prays differently and I love how their personality comes out. I also love hearing our kids pray. Praying for our children and their schools is an amazing privilege. As we pray for protection, the teachers and staff, for our children to thrive and be a light for Jesus, we can be confident God hears us and will answer. 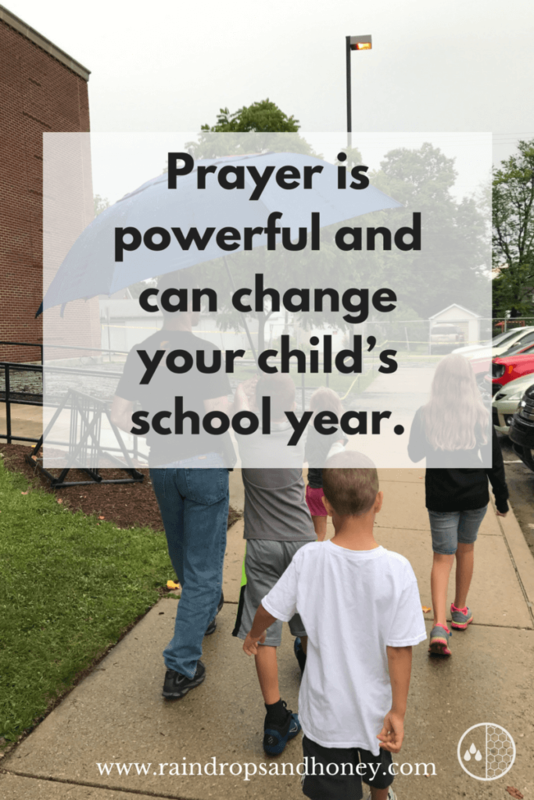 Prayer is powerful and can change your child’s school year. How can you pray for your children and their school today? If you decide to go on a prayer walk, I’d love to hear about it. Please comment below. I love that you do this as a family! This is such a great way to prepare for the school year. 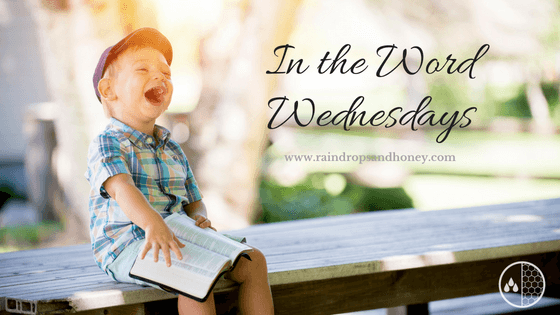 It’s a perfect step for getting your kids ready and reminding them that God is present with them at school and has a mission for them every day they are there.